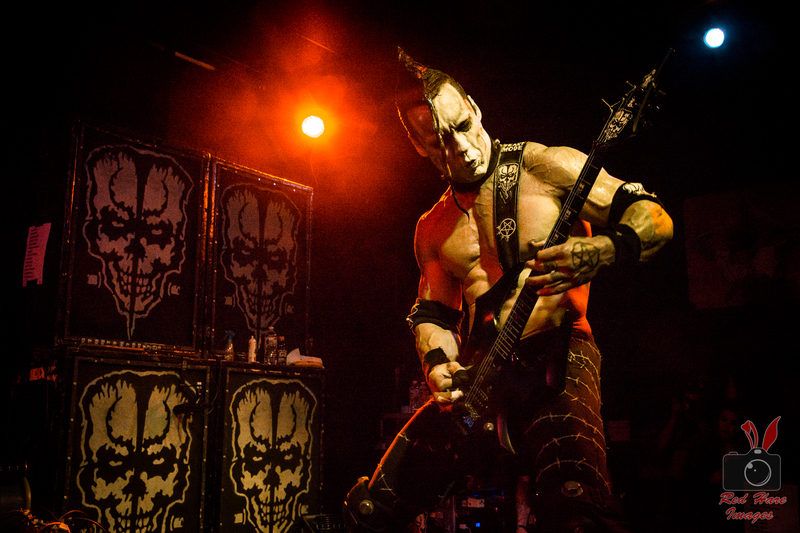 One of the most iconic logos in the punk and metal scene is that of The Misfits crimson ghost face. 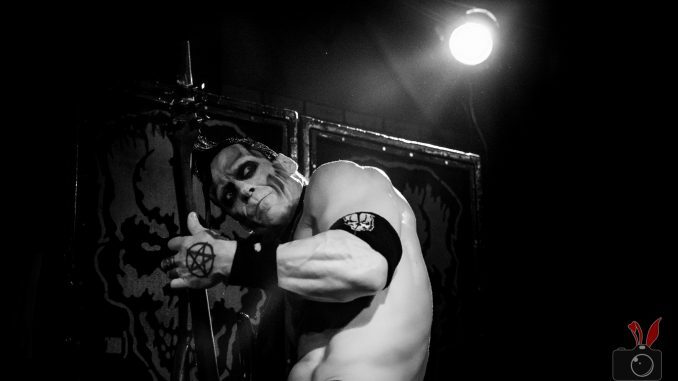 Even if one does not know whom the logo is for, I can guarantee that you have seen the logo and heard of this band consisting of legendary musicians like Glenn Danzig, Jerry Only, and Doyle Wolfgang Von Frankenstein. 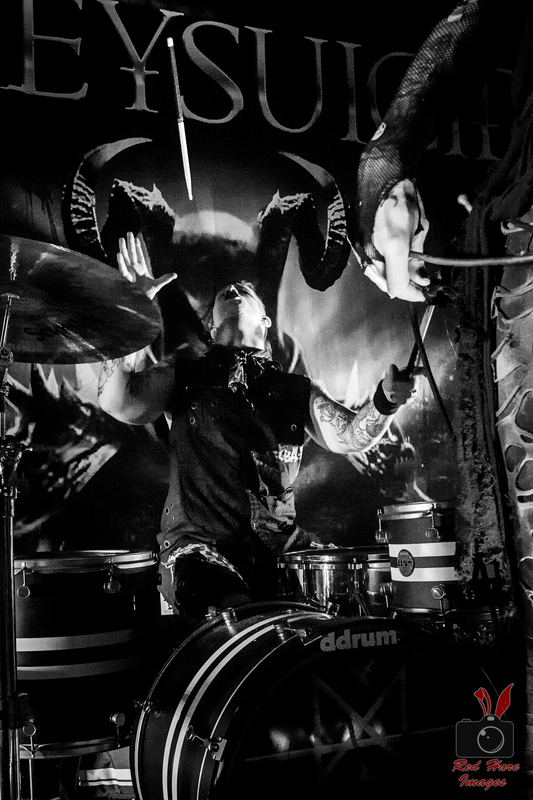 Though these artists are no longer performing together, they are still bringing new music and their style of horror punk to the masses. 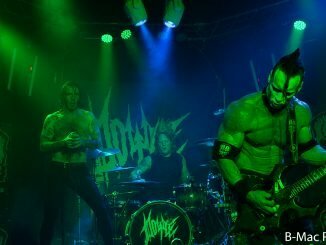 I was fortunate enough to catch Doyle Wolfgang Von Frankenstein with his current band Doyle at Malone’s Concert Venue in Santa Ana. 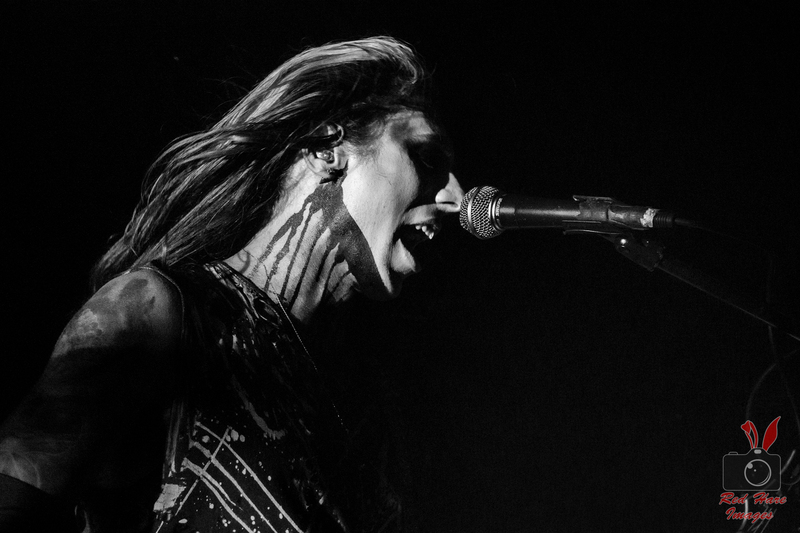 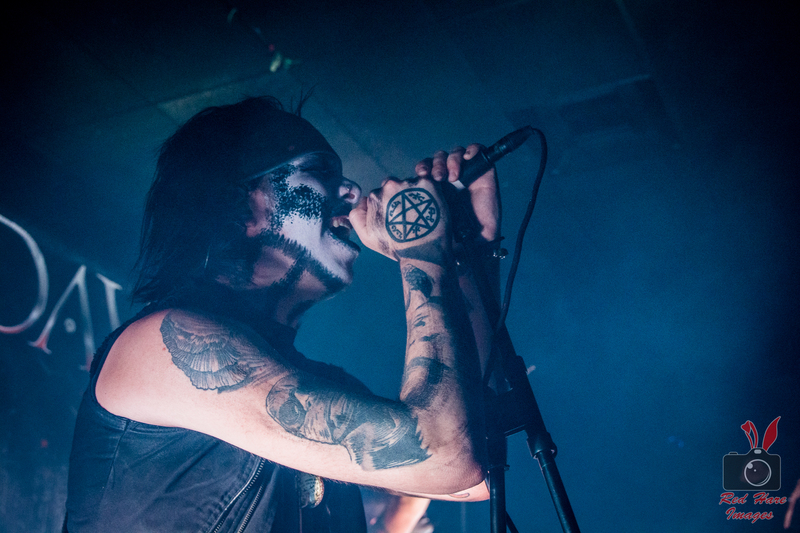 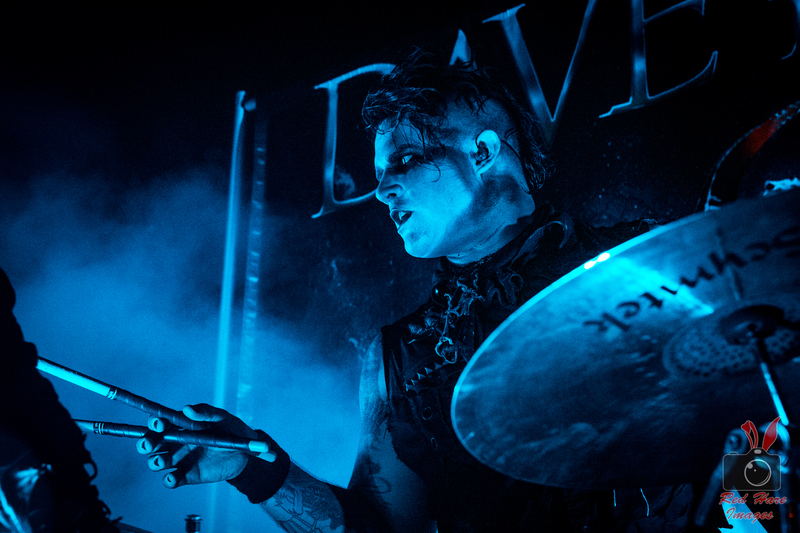 Supporting them on this tour all the way from UnHolywood, KIllafornia was industrial rockers Davey Suicide. 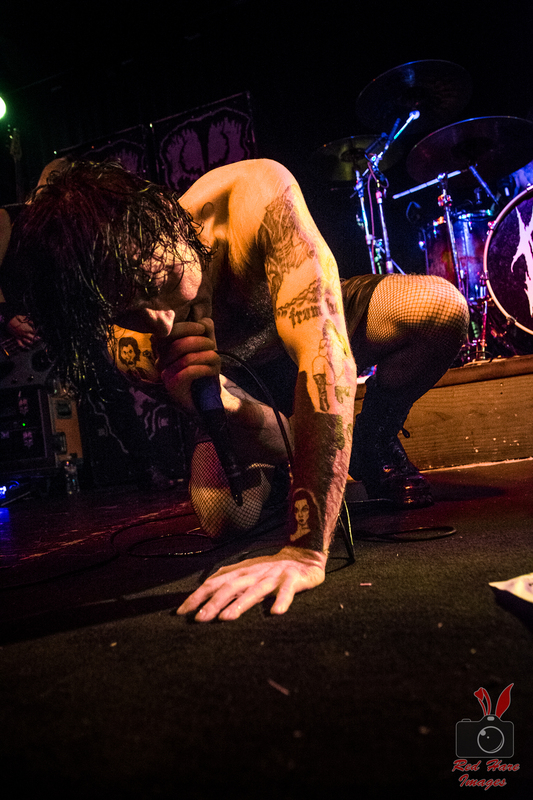 What these two bands brought to Malone’s that night was a flurry of theatricality and heavy metal music. 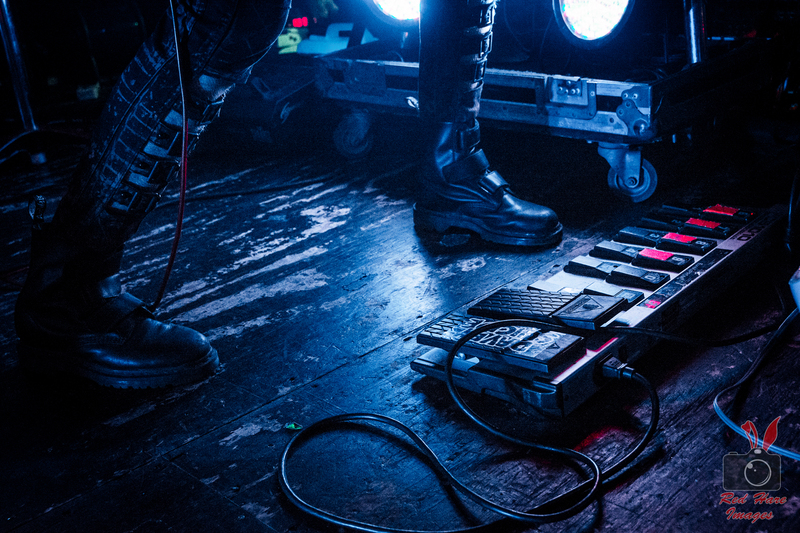 When choosing a band to tour with, you want to go with a band that will complement the aesthetic of the headliner but will bring their own unique flavor to the stage. 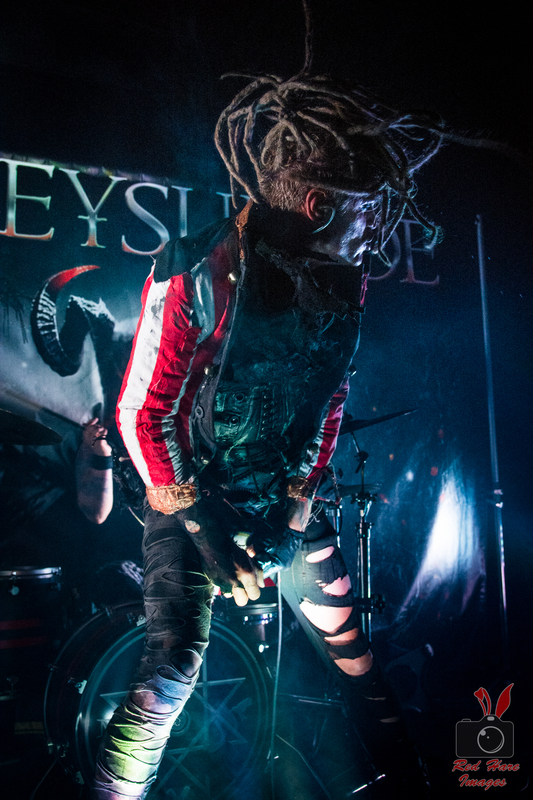 Hitting the stage with their macabre stage presence and lyrics to match, Davey Suicide was ready to bring their heavy tones and raw style of music to the crowd. 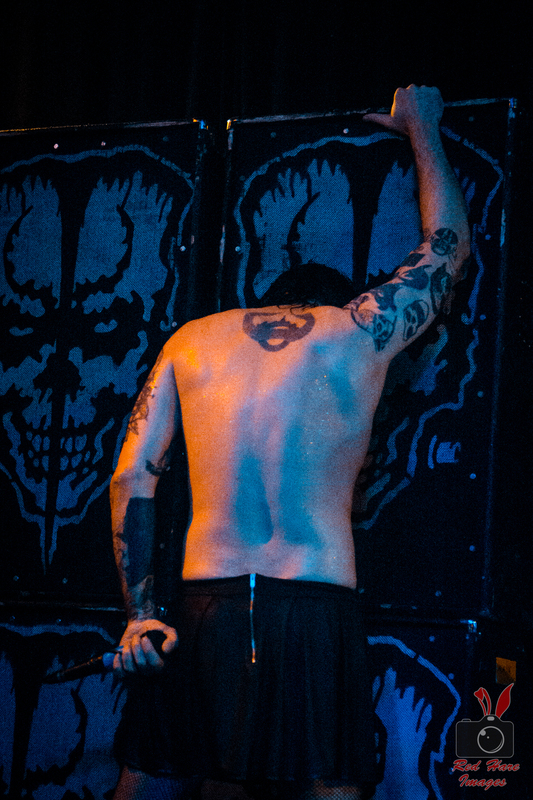 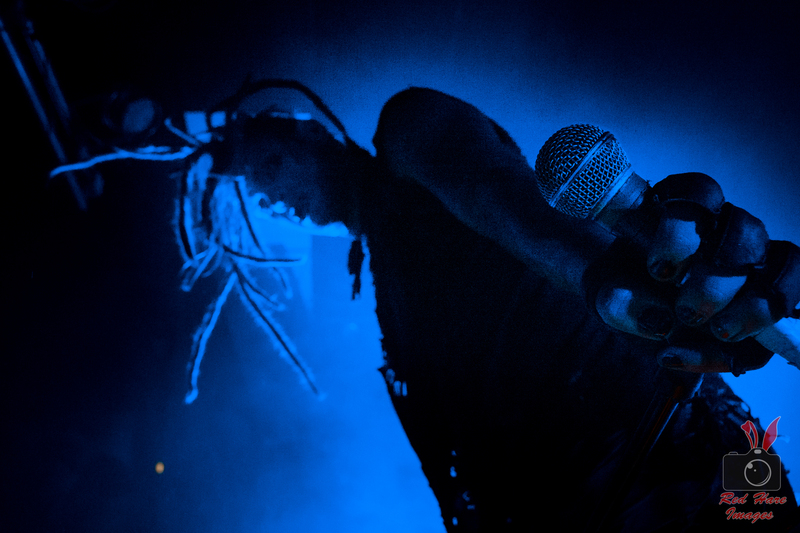 Lead singer Davey Suicide creates a striking silhouette on stage as he goes through multiple costume changes. 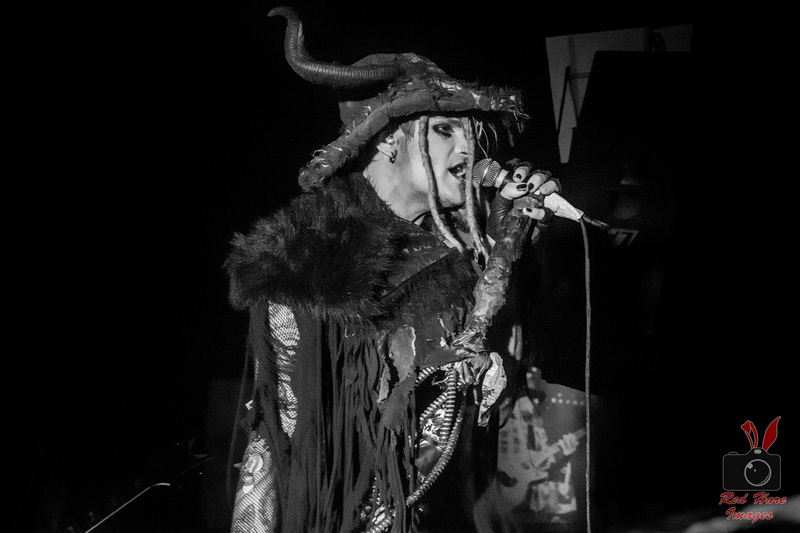 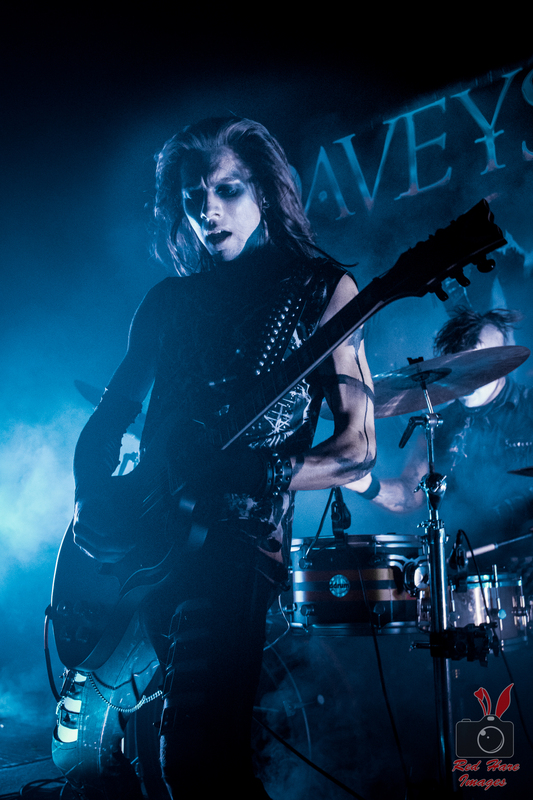 Each new article of clothing helps to bring the audience into the world that Davey Suicide is creating and helps establish the tone of each new song. 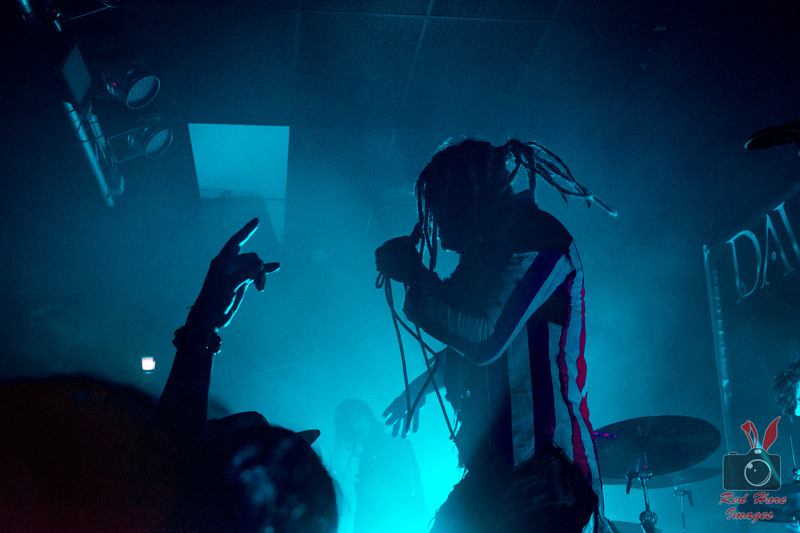 Donning a red, white, and blue tailcoat for “Kids of America,” Davey establishes himself as an Uncle Sam analogue preaching to the masses. 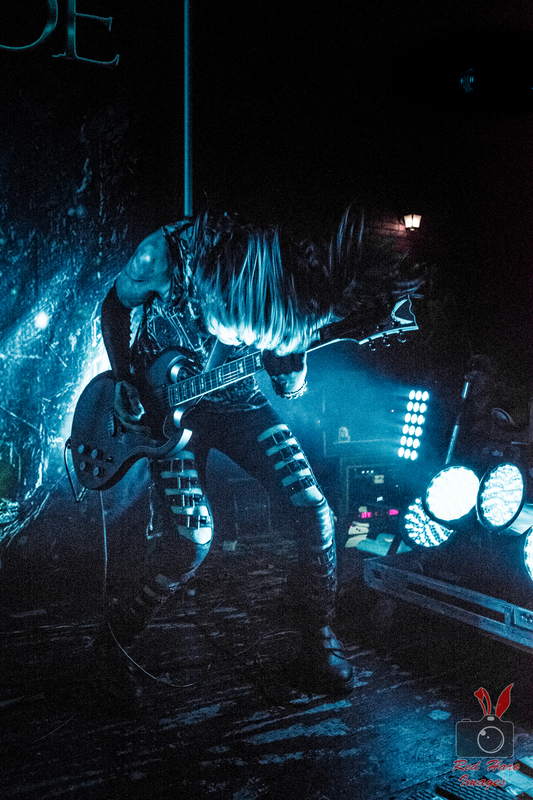 Handling the guitar duties is Niko Gemini who is able to move between the catchy riffs and guitar solos with ease, never leaving a dull moment of guitar licks that will melt your face. 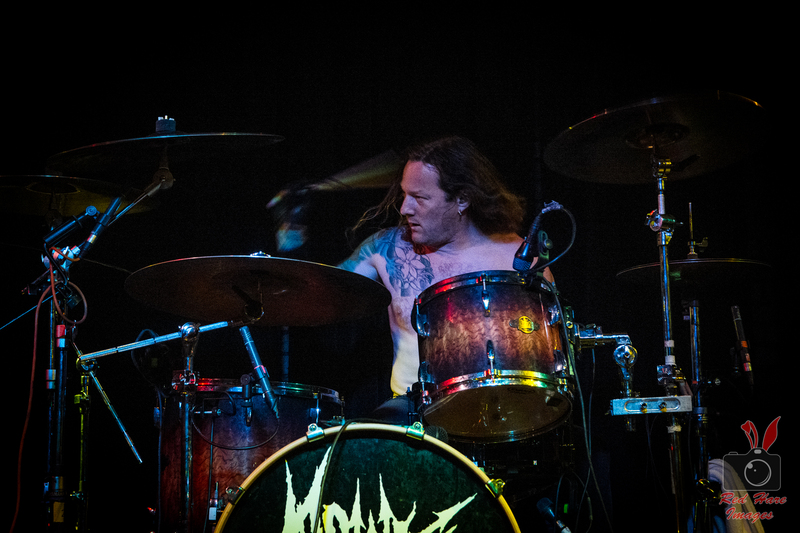 Madman on the drums is Drayven Davidson, whose energy and powerful drumbeats could be felt in the back of the venue blasting his drum kit like man possessed. 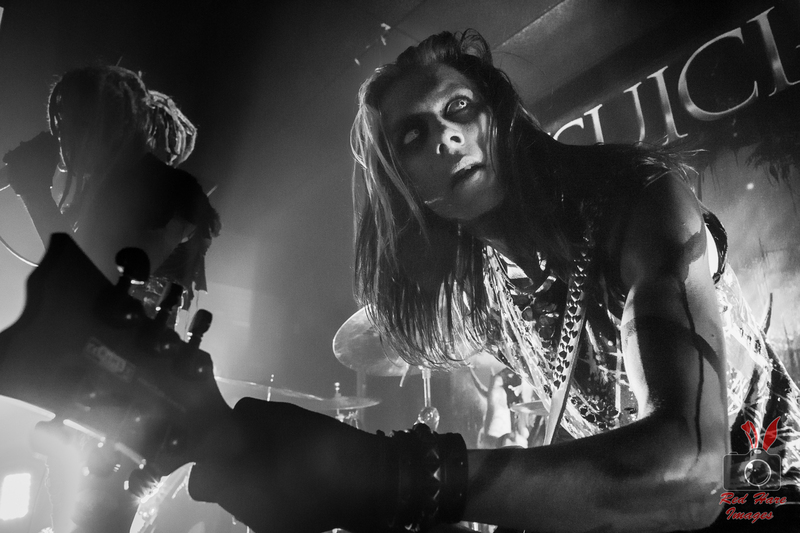 Providing the backing vocals and driving bass lines is Derek Obscura who was picking at his bass with a ferocity that could not be matched and chanting into the mic on the chorus to get the crowds blood pumping. 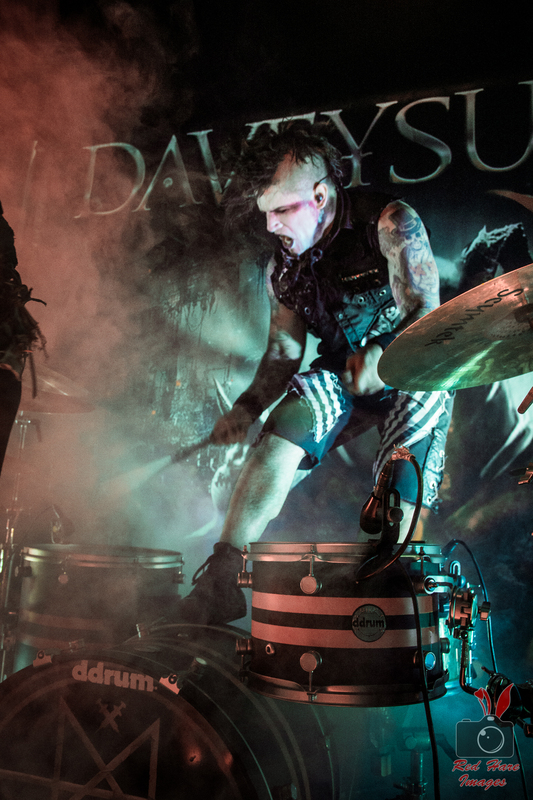 After dealing with some trouble with their last record label, Davey Suicide is continuing to put out new music. 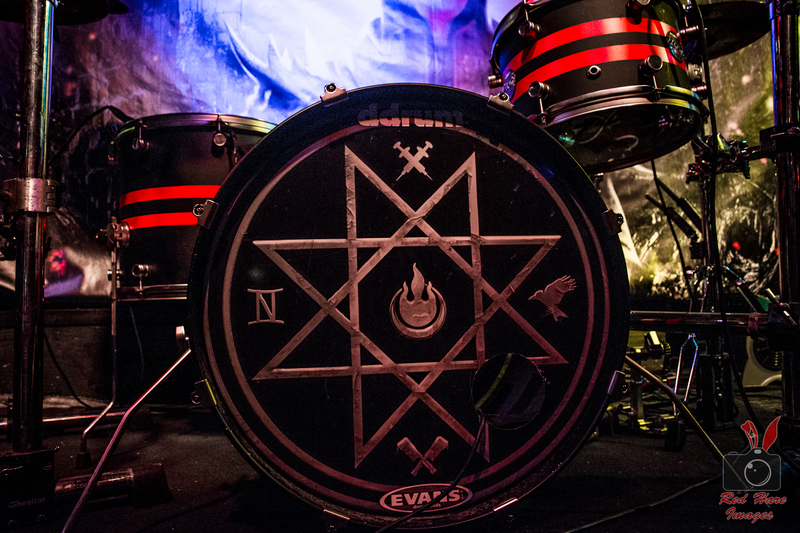 Their latest album Made From Fire was their first self-produced album and the band can be seen continuing to tour around the United States. 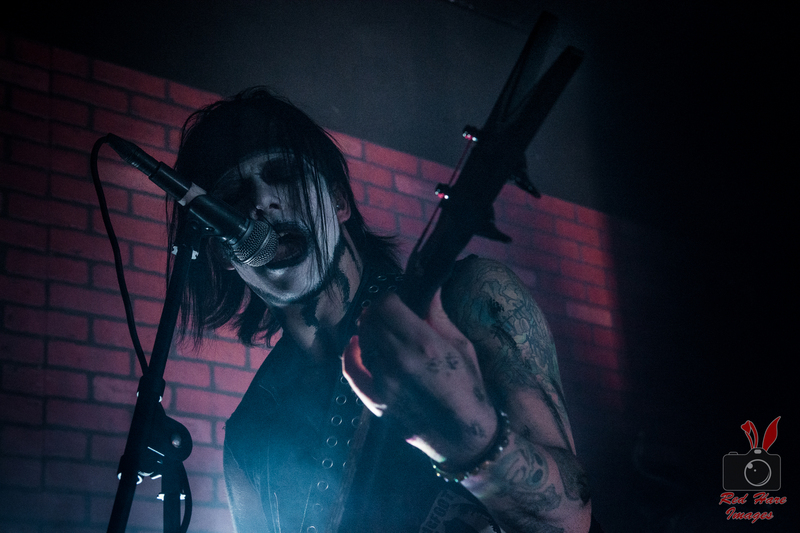 During the set change you could feel the energy of the crowd as it got restless and somehow more people managed to squeeze into the venue. 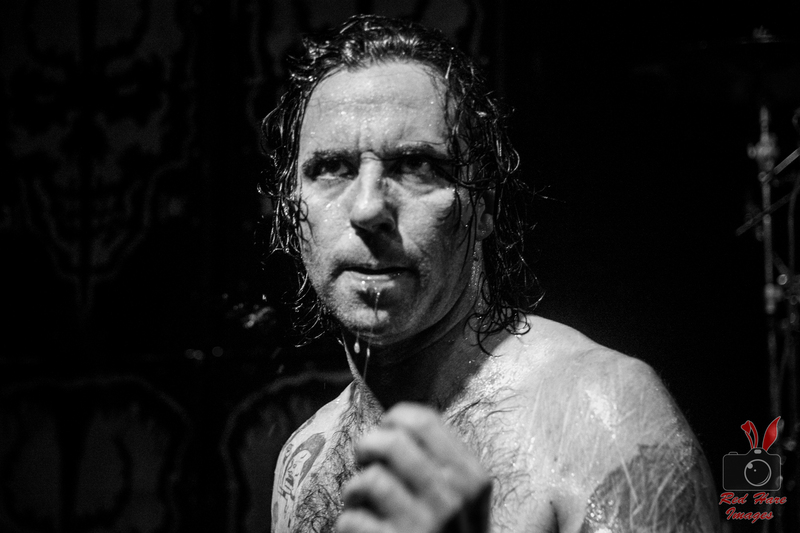 The audience was ready to see this icon of the music industry and they made their voices known. 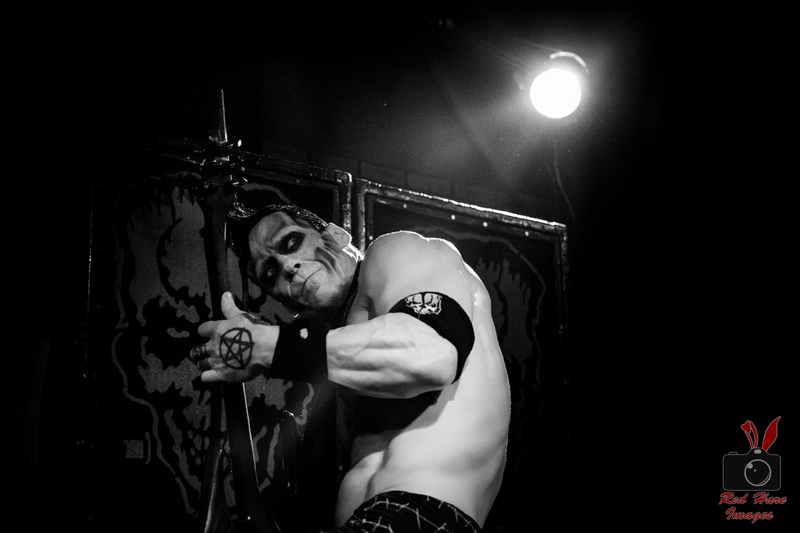 Waiting till the very last minute to hit the stage, Doyle milked every last ounce of anticipation the audience had. 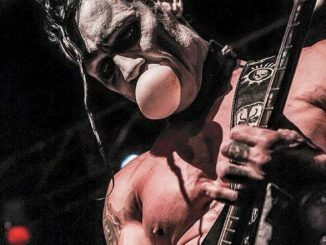 Finally the lights went down, lead singer Alex “Wolfman” Story let out a sickening scream and guitarist Doyle Wolfgang Von Frankenstein strummed the opening chords to “Abominator.” These icons of horror punk have arrived. 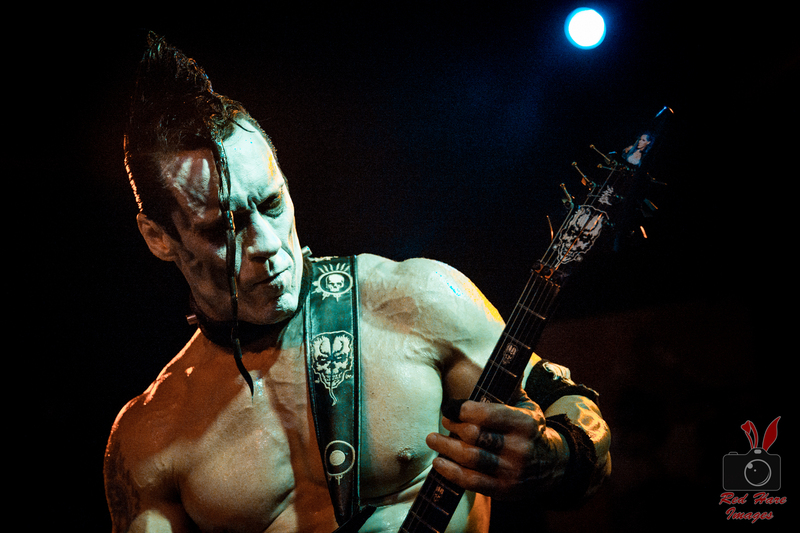 Doyle Wolfgang Von Frankenstein was a monster among men and lives up to his name. 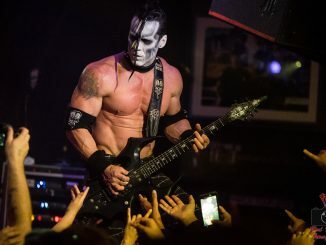 Performing shirtless to show off how big his muscles are, wearing 4” platform boots to make his 6’3” frame appear even taller, and wearing very ghostly face makeup, this monster was a fitting creation of Dr. Frankenstein himself. 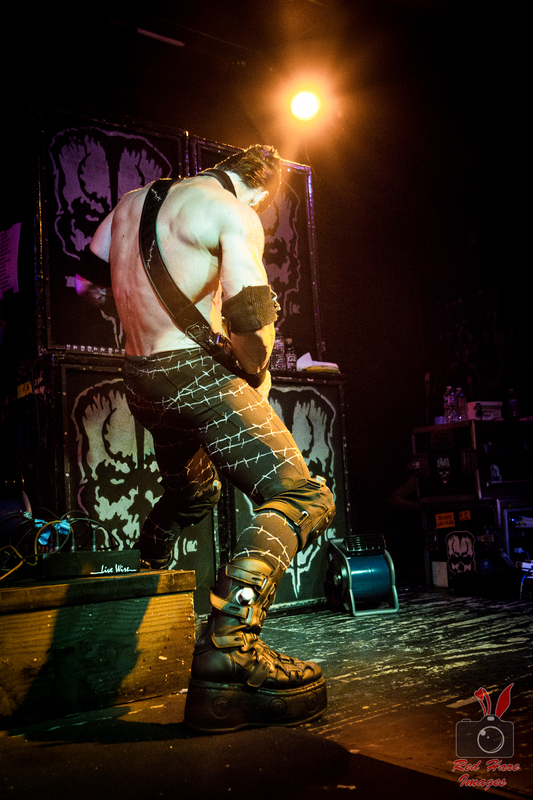 For how big of a monster he was, he was still able to move around the stage fluently slamming on his Abominator guitar and shredding like the madman who created him. 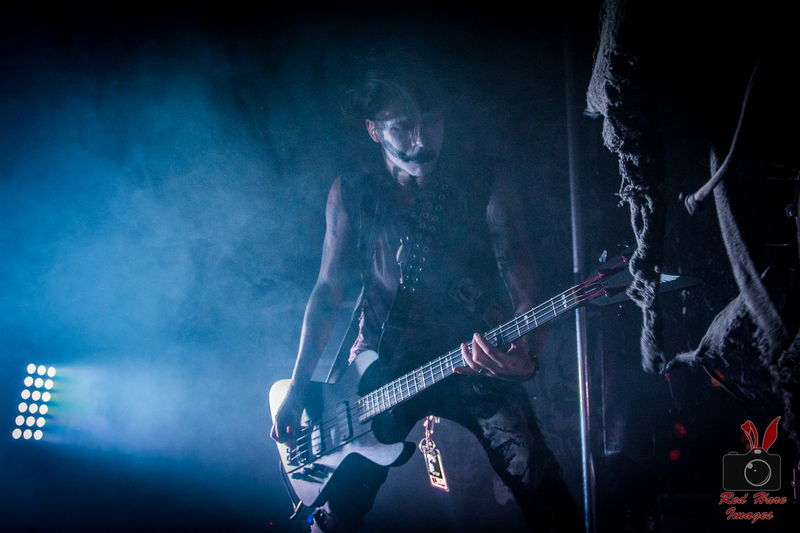 Creating the image that he does, Doyle Wolfgang Von Frankenstein needed other band members that would match his intensity and he found that in front-man Alex “Wolfman” Story. 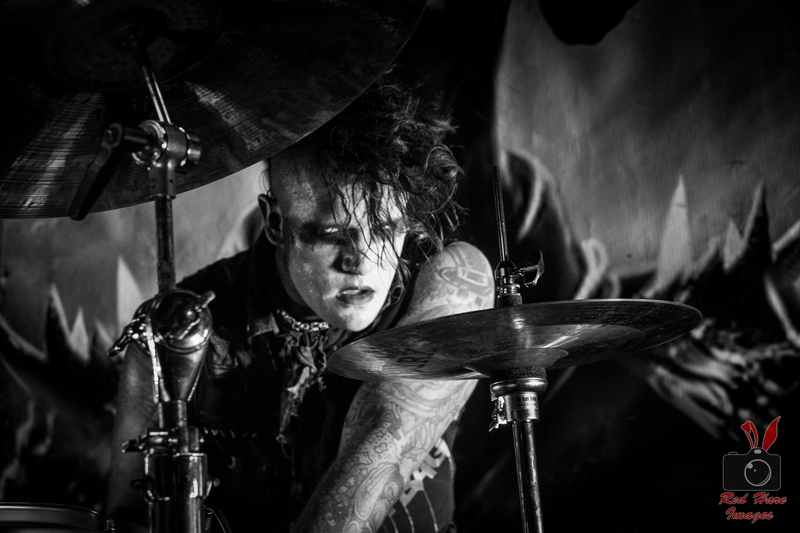 If Doyle Wolfgang Von Frankenstein is the monster, Alex “Wolfman” Story is the town crazy man speaking nonsense and yelling at chickens. 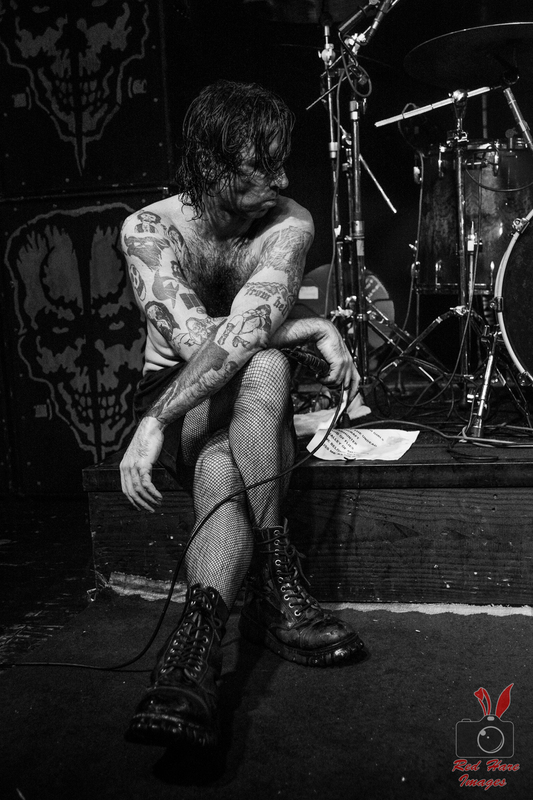 Introducing each song with the moniker that it is a great love song that you can dance to, Alex took us on a journey of debauchery and death with songs like “Valley of the Shadows” and “Cemeterysexxx.” Flying around the stage, this man could not be held at bay by a straightjacket and barely by the size of the stage he was performing on. 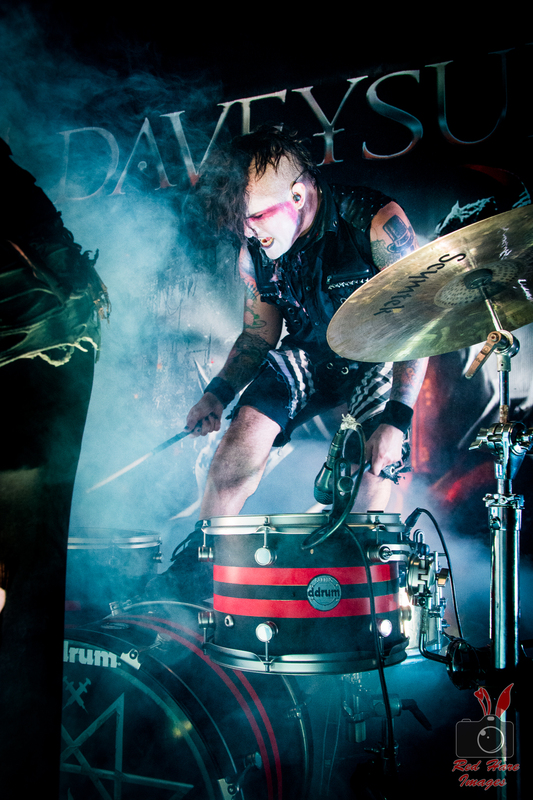 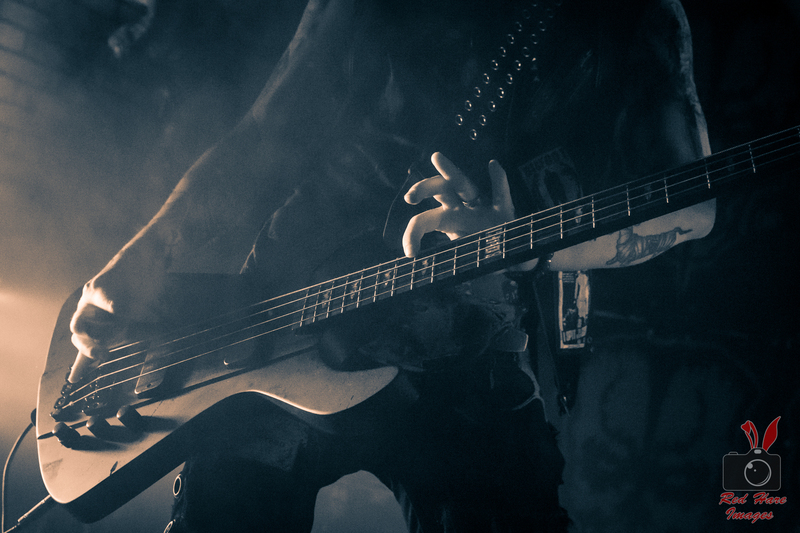 With all the craziness that was occurring on stage, Doyle needed a different flavor of intensity as well. 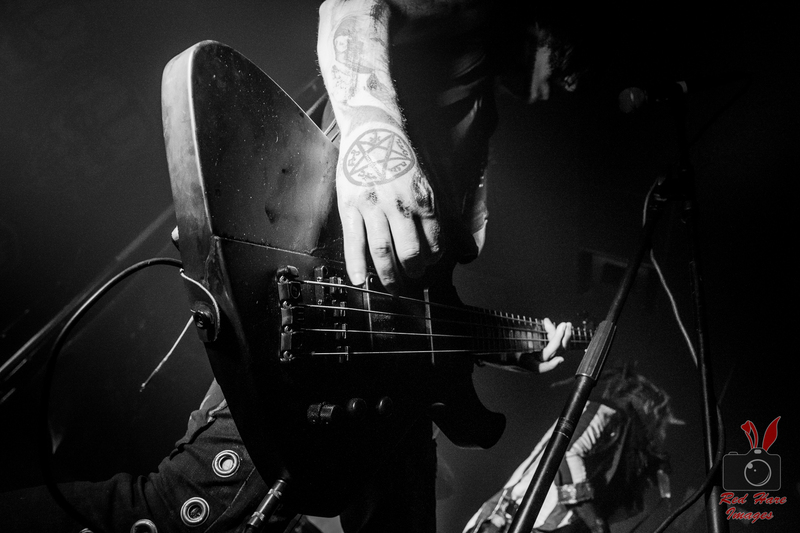 He found that in bassist Brandon Strate. 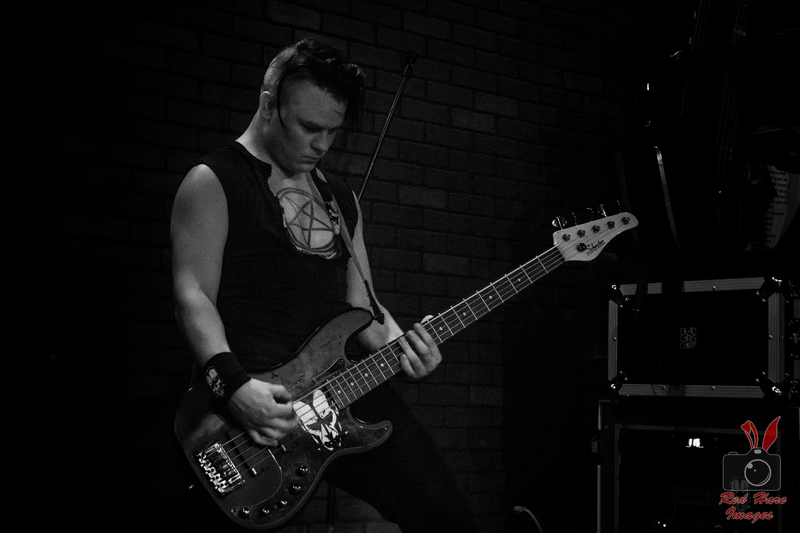 Though Brandon seemed like the more calm and collected person on stage, his bass playing came across methodical like a serial killer plotting his next kill. 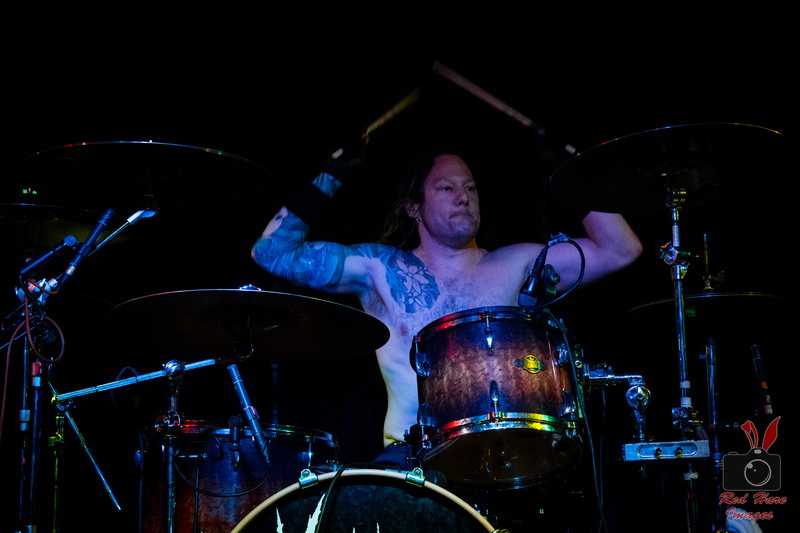 Rounding off the group and filling in on this tour on drums was Wade Murff who fit perfectly in with the group. 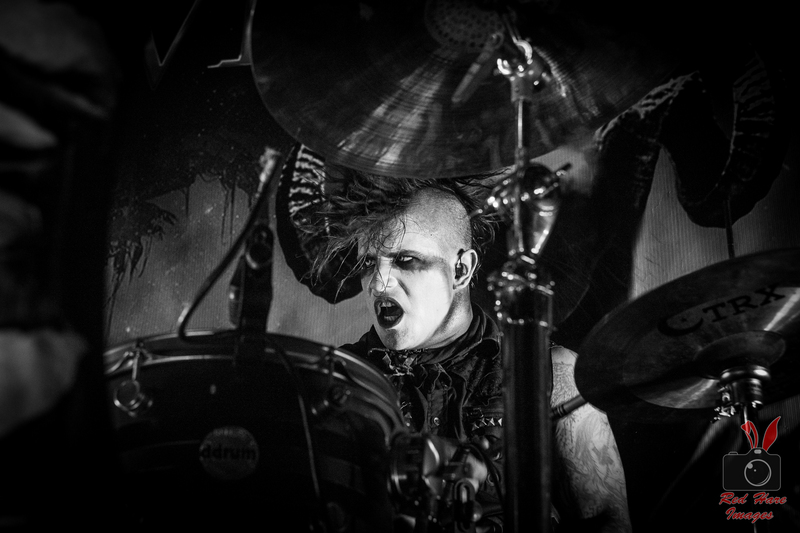 Wade kept the beats strong for the rest of the band to go crazy with. 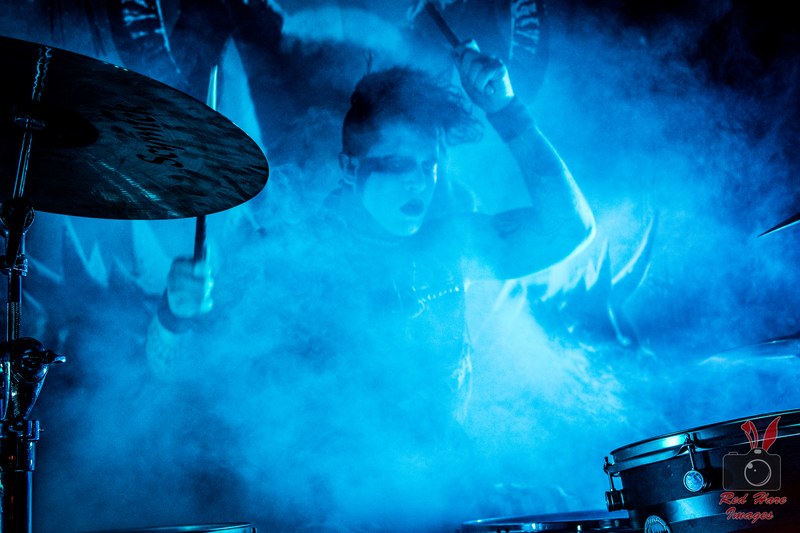 Strong bass hits and riding the cymbals had every person in the room head banging. 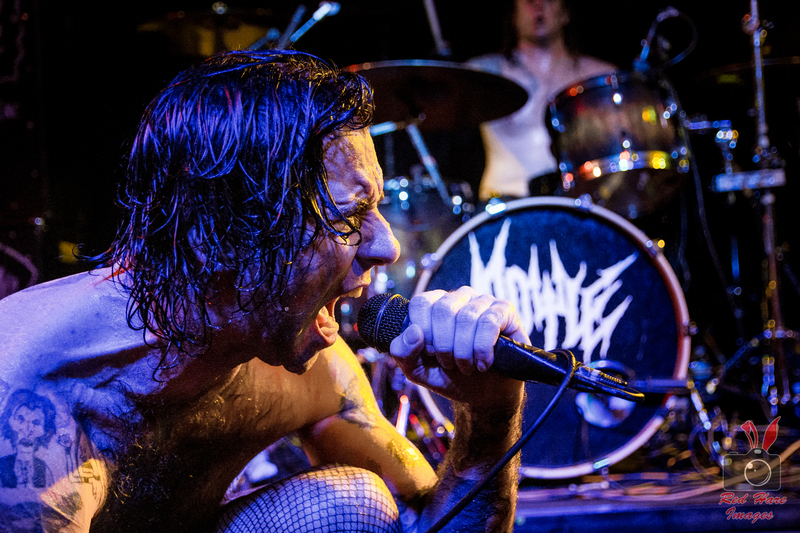 Promoting their newest album Doyle II: As We Die, Doyle proved that they are a band that is a force to be reckoned with and to not cross any of these guys in a dark alley.